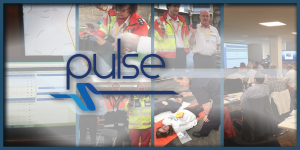 PULSE, “the Platform for European Medical Support during major emergencies” is driven by the 7th Framework Programme THEME SEC-2013.4.1-4: Development of decision support tools for improving preparedness and response of Health Services involved in emergency situations. European Health Services (EHS) is one of the core emergency response services to deadly threats such as pandemic disease and terrorism attacks in Europe. The EHS comprises key stakeholders that include hospitals, community health services, pre-hospital emergency care services, medical suppliers, rescue services, health related voluntary services and others. It is crucial to the EHS that it remains in an excellent state of preparedness supported by first-class planning and decision support tools. Moreover in the response phase, EHS need consistent, co-ordinated and standardised advanced support methods and tools providing support in critical tasks like e.g. early threat detection, common operational picture, creation of surge capacity etc. Finally, at a pan European level, EHS also requires an interoperable framework with the ability to provide a co-ordinated European response to any major medical incident. The PULSE project (PULSE) aims to meet these challenges.